YAKIMA, Wash. — A recent study published in The Journal of Nutrition has found that consuming fresh cherries may provide an array of health benefits and anti-inflammatory properties. Low on the glycemic index, cherries are a naturally sweet component in a healthier diet and may play an important role in fighting the severity of chronic diseases such as arthritis, cardiovascular disease, blood pressure and cancer. According to the results of a recent study conducted at the USDA-ARS Western Human Nutrition Research Center, researchers found that consuming about 45 (280 g) cherries daily may significantly decrease circulating concentrations of specific inflammatory biomarkers in the blood. Because of the link between inflammatory markers and some chronic diseases, the changes in the identified biomarkers suggest that consuming cherries may reduce risk or modify the severity of inflammatory diseases. The findings of the study were published in The Journal of Nutrition and are indicative of good news for those who want to reach for healthier snacks and ingredients on a daily basis. Rich in fiber, potassium, melatonin, vitamin C and more, cherries are taking center stage as a healthful addition to the diet. Cherries are widely available nationwide during their summer season and don’t need added sweetener in order to be delicious. Cherries are easily eaten fresh out of hand, appeal to children, athletes, and adults and are an easy and convenient addition to the diet. They also make a flavorful and fiber rich addition to salads, salsas, soups, sauces and smoothies. The 2014 cherry season is looking promising as the crop is progressing strongly and on target for an early harvest. 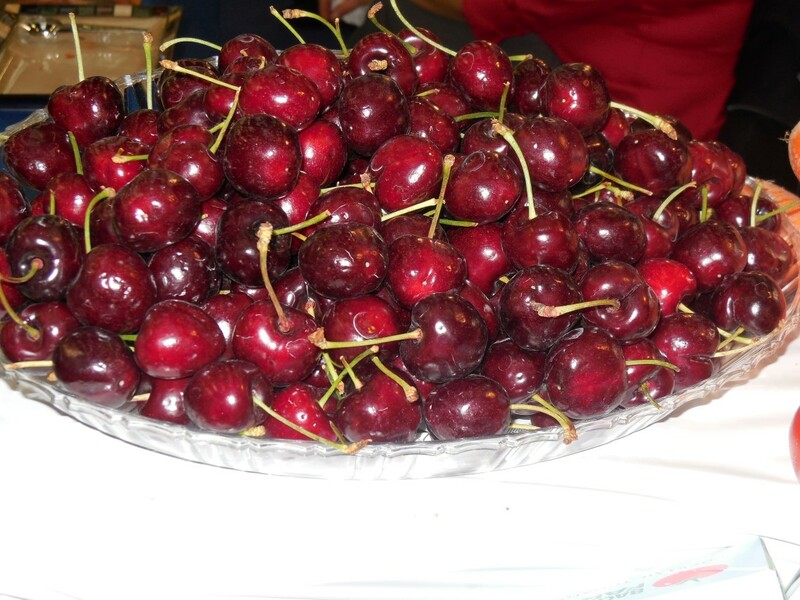 James Michael of the Northwest Cherry Growers reported that the 2014 season could be the third largest and one of the tastiest crops on record. He explained, “We are gearing up for an early start to a strong harvest this year, thanks to ideal weather all spring, which also contributes to deeper flavor and a sweeter cherry. With our recent USDA study clearly indicating how cherries may play a role in fighting debilitating conditions such as diabetes, arthritis and cardiovascular disease, we are excited to be pushing out such a naturally sweet fruit to health conscious consumers!” Harvest should begin in the last few days of May, so look for fresh Northwest cherries in the produce section at your favorite neighborhood soon. Consumers interested in working more cherries into their diets can find resources and recipes at www.nwcherries.com. Founded in 1947, the Northwest Cherry Growers is a grower’s organization funded solely by self-imposed fruit assessments used to increase awareness and consumption of regionally-grown stone fruits. The organization is dedicated to the promotion, education, market development, and research of stone fruits from Washington, Oregon, Idaho, Utah and Montana orchards. Collectively, the Northwest growers produce 2/3 of all U.S.-grown sweet cherries. I was in Chicago early Friday (June 14) when the first two loads of cherries arrived at the Chicago International Produce Market (CIPM) from Washington state. Cherry shipments have gotten off to a slow start, but should really be picking up in the days ahead. 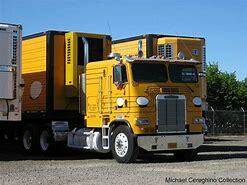 The truckers were paid a gross freight of $4,500 for the run originating out of the Yakima Valley. The f.o.b. worth of the load of cherries was approximately $125,000! There have been some concerns relating to weather factors causing cracks in Washington cherries this season. However, these loads of early variety Chelan cherries had decent quality. 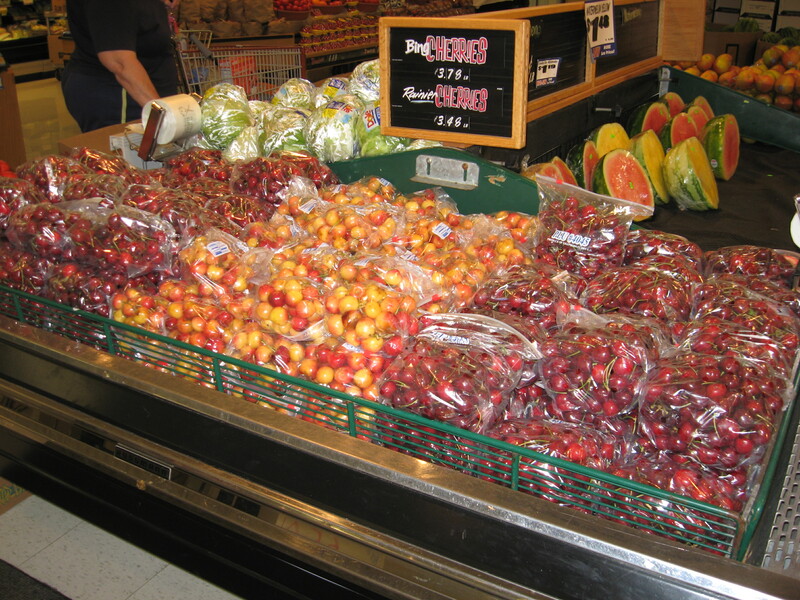 The more popular Bing variety of cherries should start shipments the week of June 24th. If you haul produce and plan on loading Washington cherries, continue to check what’s being put into the truck. Just because this stone fruit had good quality, there’s not guarantee this cracking will not show up in future loads. Volume on Washington cherries in increasing and should hit a peak around June 26 -28, just in time for Fourth of July deliveries. Shipments should continue into August. Washington also continues to ship late season apples and pears from both the Yakima and Wenachee valleys. Although not as attractive an item, the state’s Columbia Basin is still loading potatoes. Columbia Basin potatoes – grossing about $4100 to Chicago. Yakima valley apples and pears – about $6500 to New York City. Northwest cherry growers expect a 2013 crop of 18 million boxes to be shipped, well short of last year’s record 23 million boxes. Shippers from Washington, Oregon, Idaho, Montana and Utah released their crop estimate last week. Washington is the largest shipper fresh cherries, with an expected crop of 14 million boxes. A box of cherries weighs 20 pounds. Shipment of cherries should get underway in early June around the Columbia River, with peak loadings taking place in the Northwest prior to the Fourth of July. Northwest cherry shipments are expected to be similar to 2011 when the five states shipped about 18 million boxes. Before the 2012-13 Washington state apple shipping season ends in July or August, 132,245,000 truckload equivalents of apples should have been hauled. Sure, some of that fruit will go by rail, but it is trucks carrying the bulk of the loads. On average, the Yakima and Wentachee Valleys are currently shipping about 3,000 truckload equivalents of apples each week. Potatoes continue to be a big mover, especially out of Idaho, which has more russet potatoes this season than it knows what to do with. Idaho is loading around 1,800 truckload equivlents of spuds each week. Washington’s Columbia Basin and the adjacent Umitilla Basin in Oregon are providing loads of potatoes and onions. However, both spuds and onions combined, do not come even near the volume of potatoes being shipped out of Idaho. 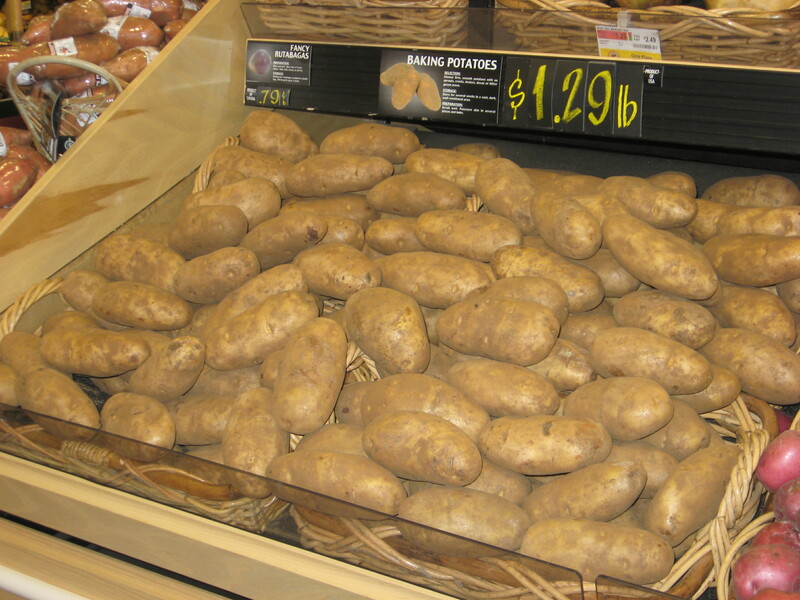 Idaho potatoes – grossing about $3500 to Cleveland. Washington apples – about $6300 to Orlando. Between now and August produce truckers will have the upper hand when it comes to freight rates – assuming you don’t have contract rates (but that’s another story). Not only are we nearing the peak shipping season from California, which accounts for about half of the nation’s fresh produce, but other areas, particularly in the upper mid-west and east are providing competition for trucks. Before I get into the Salinas and San Joaquin Valley shipments, use caution loading desert vegetables such as bell peppers and corn as temperatures well above 100 degrees have been occurring. It’s been really hot in the Coachella and Imperial valleys, as well as Arizona’s Yuma district. Little or no report of heat damage has yet been reported but keep your eyes peeled for scalding and other heat symptoms in the days ahead. Even watermelons can suffer if prolonged heat occurs. Dozens of different kinds of vegetables are being shipped from the Salinas area. But the big volume items are various types of lettuce, broccoli, cauliflower. There also is decent volume with brussel sprouts and celery. Nearby Castroville is the artichoke capital of the world, while nearby Watsonville is ground zero for strawberry shipments. This report will focus primarily on summer from from the SJV. We’ll soon cover the many vegetables coming into volume. Stone fruit, led by peaches, plums and nectarines, are just getting underway from the southern part of the valley. The consensus appear to be that around 40 to 43 million boxes of stone fruit will be shipped this year from the San Joaquin Valley, which would be pretty average when looking at the volume for the past five years. California cherry shipments are building and hitting good volume just prior to the Memorial weekend (May 25-27). However, winds damaged 40 to 50% of the early variety Rainier cherries around Bakersfield on May 5th. There also was some wind damage to almond trees in the Bakersfield area. Last year, California shipped a record 101.5 milion boxes of grapes. The Coachella Valley, which is shipping now, accounts for 10 percent or less of this volume. The rest comes from the San Joaquin Valley, starting with the Arvin District in late June. Apple shipments, which took at 30 percent hit last year, are expected to return to normal this year. Beginning in July, California apple shipments get underway, but this is minor (2 million boxes) compared to Washington state (129 million boxes predicted). Located near Bakersfield, Kern County ships a lot carrots and potatoes, althouigh this time of the year you will get a better freight rate hauling more perishable items ranging from lettuce to stone fruit, grapes and berries. Kern County potatoes shipments started about a week ago. Due to so much over production of russet potatoes around the country, this variety has been reduced by up to 75 percent. Russets have been replaced primarily with red, yellow and white potatoes. When Kern County growers are not planting carrots or potatoes in their fields, they use bell peppers as a rotation crop. Bell peppers loadings are just starting and building in volume, continuing until November. Salinas vegetables – grossing about $5200 to Chicago. California desert vegetables – about $7300 to New York City. California cherry shipments kicked off the third week of April and volume is building. Decent loading opportunities are now just beginning to happen. Decent volume for deliveries in time for the Memorial Day holiday (May 25-27), with earlier varieties are expected. However, the later variety bing volume will be substantially less than a year ago. The San Joaquin Valley southern region including Brooks and Tulare shipments will likely peak May 16-21. Overall peak shipments should be around May 25 to June 7. The bing cherry crop shipments are expected to be off by 30% to 50% from last year, due in large part to an alternate-bearing cycle. California has had normal asparagus shipments during April, but loadings are expected lighter than usual now and this will probablycontinue through May. Like so many areas of the country, a colder than normal spring has Michigan asparagus shipments off to a slow to start. Significant increases in volume are not expected until the third week of May, two weeks or more behind schedule. After recovering from an early March freeze, Florida sweet corn grower-shippers are finally entering peak spring shipments. Peak loadings normally start around mid-April. Georgia sweet corn shipments also are going to be a little later due to the cold growing season. Corn loadings from Georgia should start in late May, but decent shipments will not be happening until early June. Georgia’s shipments normally end after July 4. South Georgia vegetables – grossing about $2400 to New York City. Central Florida vegetables – about $4000 to Boston. Light shipments of cherries from California’s Arvin district near Bakersfield have gotten underway within the past week. Decent volume should be occuring within the next week or two. Excellent quality with good volume are being forecast for both California and Washington state this season, despite a mid April freeze in Washington that will reduce some loading opportunties. Apricots are among the most perishable of stone fruits, but optimism abounds this year the product won’t get taken out by Mother Nature as it pretty much has been the past four years. Most apricots are grown, packed and shipped in the San Joaquin Valley. Loadings should be hitting stride now and continue through May. About 90 percent of the apricots grown in the United States come from California. Production in 2011 was nearly 69,000 tons. Meanwhile, there are much better loading opportunities with California items ranging from strawberries to mixed vegetables. Strawberry shipments are heavy and will continue to heavy for another month. Overall, the Salinas Valley is becoming the most active area for produce shipments. Lettuce, broccoli and cauliflower, plus dozens of other mixed vegetables are being shipped and volume will increase in the weeks ahead. The nearby Watsonville district is shipping some strawberries, but but there also are berries and some mixed veggies coming out of the Santa Maria district to the south. The Coachella Valley is expected to start harvesting desert grapes any day now, but good volume shipments are not expected until the week of May 20. Normal volume is expected. Southern Californa strawberries, vegetables – grossing about $5400 to Chicago. Salinas Valley mixed veggies – about $7400 to New York City. The report from the Nielsen Perishables Group says momentum is good following a solid summer selling season. 35 of 44 fresh produce categories posted volume gains in the summer of 2012, in large part because there were no significant losses of crops or food safety issues, according to the report. The Nielsen Perishables reported both volume and sales of fresh produce were up 4 percent compared with the same period a year ago, for the 13 weeks ending August 25th. Retailers offer smaller discounts on fresh produce items, which the Nielson report believes led to the volume of fresh fruits and vegetables purchases on promotions declining last summer. Cherries were among the most successful produce items becasue of a huge 2012 crop driving a 20% growth in sales, the report notes. There was nearly a 30 percdent price drop in avocados, driving sales up an anstounding remarkable 46percent. Value-added vegetables were also strong performers, with new products boosting sales, according to the report. Nielsen projects continued strength in the fresh produce department for fall retail produce sales. For produce alone, Nielsen forecasts holiday dollar and volume sales to grow 5 percdent and 4 percent respectively. Consumers may be troubled by economic uncertainty revolving around November elections. “If consumers revert to their focus on price, expect to see steeper discounts designed to draw in shoppers during the vital holiday season,” according to the report. Pictured here is a seeded watermelon. Don’t see ’em near as much as you used to. They have kind of gone the way of “plucking” a watermelon before you buy it. Remember that? Try plucking one today, and you just might be arrested (plucking is using a knife to cut a triangular piece out of the watermelon to taste to see if it’s worth buying). I never was very good at thumping melons to see if they were ripe. I generally just go by color and making sure they don’t have any soft spots. Anyway, I’ve had bought my share of watermelons over the 10 weeks or so. Some were good and others not so good. This is first seeded watermelon I’ve purchased this year. Seedless melons are just about all the produce departments in stores sell anymore. They assume we consumers are simply too lazy to be bothered with spitting out seeds. Anyway, the seeded melon was as good as any watermelon I’ve had this summer – and was better than most. It was shipped out of Edinburg, TX. Enjoy watermelons while you can, supplies and quality often diminshed after Labor Day. Another item that has had fantastic quality this summer are cherries – first out of California and now they are coming out of Washington state and Oregon. A record crop has resulted in reasonable retail prices. Like watermelons, enjoy the Northwest cherries while you can. They will be vanishing from your local supermarket by Labor Day. Another great buy now in retail stores are California grapes, both red and green. They will typically be available through the end of the year, although supplies in the fall drop and prices trend up. But right now, a record crop is being harvested, quality is excellent and prices good. Let’s hope the heat in the San Joaquin Valley subsides some and doesn’t take a toll of the quality of what is a fruit that has excellent eating. As expected, there will be a record number of cherries shipped from Washington state this season by produce haulers. Washington state had shipped 18.7 million boxes of cherries as of August 22nd. If you include the Northwest, in other words, mostly Oregon, as of Aug. 22, 22.8 million boxes of cherries had been shipped, which also is a record. By the end of August most of the fruit will have been packed and shipped, and total volume will likely top a record 23 million boxes. California table grape shipments are ahead of schedule this season due to the warmer-than-normal weather. The primary concern is if the San Joaquin Valley heat eventually starts taking a toll of the vineyards, which could lead to quality problems, something we’ll watch out for as it could impact claims or rejected loads for produce truckers. It appears this year will be the first time California hits 100 million or more boxes of grapes. In the Lower Rio Grande Valley of Texas, watermelon shipments continue. Quality appears good enough that you should be able to avoid unfair claims or rejected loads – depending of course, upon whom you are delivering to. There also are steady shipments of Mexican citrus, tropical fruit and vegetables crossing the border into South Texas. In the Hudson Valley of New York, various vegetables such as sweet corn are being loaded in light to moderate volume. The new apple harvest has just started and volume is very light, but increasing. South Texas produce loads – grossing about $220o to Atlanta. San Joaquin Valley grapes – grossing about $4300 to Chicago. Since a significant rise in early June of rates for hauling fresh produce from some major shipping areas — particuarly the west coast, it has been a pretty quiet summer as rates have remained relatively stable, and few serious truck shortages have occurred. While some produce items may have record shipments this year, such as California grapes and Washington state cherries, other areas ranging from Michigan fruit to South Texas vegetables, as well as California stone fruit, have taken some hits from the weather. I’m sure there may be other factors involved ranging from more contract rates, which tend to provide more rate stability on a seasonal, if not a year around basis. 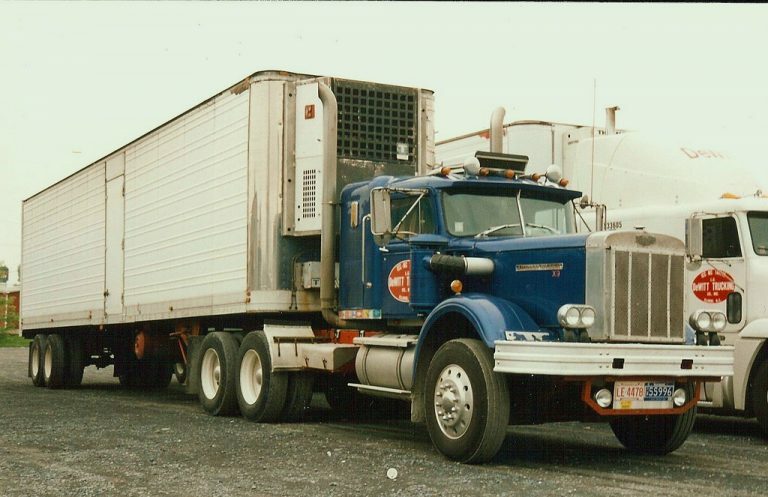 The struggling economy, with a lot of pitfully low rates for dry freight, may have more carriers seeking higher paying produce loads, particularly this time of the year. Nationally, here’s a glimpse at loading opportunities for fresh fruits and vegetables. South Carolina peaches are still being shipped , primarily in an area located south and southeast of Columbia stretching to the Georgia state line. Speaking of Georgia, peach loadings are on their last leg and should be finished within a week as the latter part of the season had exceptionally light production. South Carolina won’t be far behind. In South Texas, various citrus, tropical fruits and vegetables from Mexico continue crossing the border into the Lone Star State. They join lesser amounts of produce grown and shipped from the Lower Rio Grande Valley. 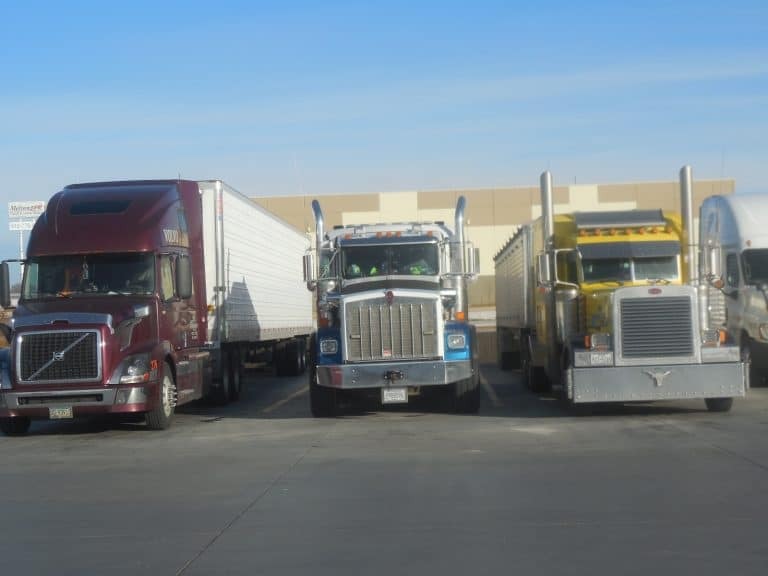 Southern New Mexico continues to ship onions…..In Michigan, blueberries and various vegetables such as cucumbers and squash are providing loads. In Idaho, the country’s largest potato shipper continues to provide hauls from the 2011-12 harvest. New product should become available for hauling next month. In the Columbia Basin of Washington state, potato and onion loads remain available. An excellent crop of sweet cherries are now coming out of Washington’s Yakima and Wenachee valleys, along with late season apples. Shipments of Washington pears are virtually finished. In California, the vast majority of produce shipments are now coming from shipping areas north of Interstate 10. Salinas Valley vegetables are generally grossing – about $7700 to New York City. Washington states potatoes and onions from the Columbia Basin – about $3000 to Chicago. South Carolina peaches – about $3400 to Boston. Georgia peaches – $3300 to New York City.